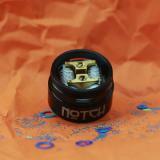 The Advken Notch RDA is 24mm in diameter. It features dual posts design for easy dual coils building. 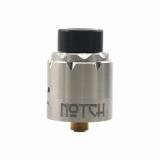 With Side and bottom airflow-in-out system, the Notch RDA will bring you an unbeatable flavor. 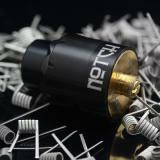 The latest Advken Notch RDA is coming! It is an exquisite and durable rebuildable dripping atomizer with 24mm diameter and knurled top cap. 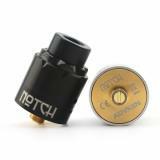 The Advken Notch RDA features dual posts design for easy dual coils building, and it is compatible with Notch coil and other rebuilding coils. The Advken Notch RDA has a gold Plated BF pin, it is definitely an ideal vaping device for most squonk MODs. Just get this delicate device for optimal flavor and massive clouds! 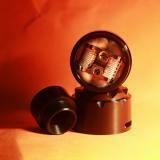 The price is reasonable for a dual-coil RDA. Fast Delivery and Excellent experience with this item. 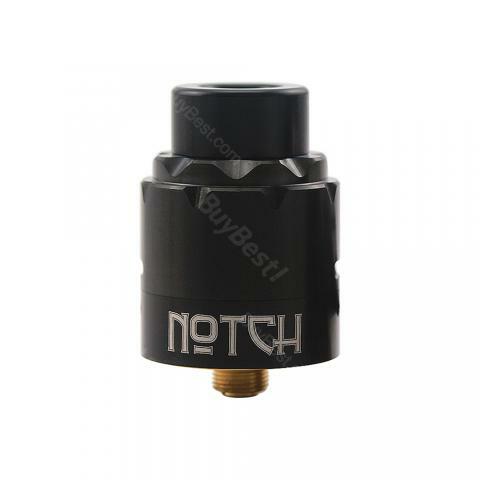 Advken Notch RDA Atomizer Advken Notch RDA is a rebuildable dripping atomizer which comes with dual posts design, it is compatible with Notch coil and other rebuilding coils. Advken Notch RDA is a rebuildable dripping atomizer which comes with dual posts design, it is compatible with Notch coil and other rebuilding coils.